Large-aperture full-frame wide-angle zoom lens covering the range of three fixed focal length wide-angle lenses. A zoom lens that offers the same brightness and resolution as a fixed focal length lens for the 35mm full frame sensor. It allows photographers to carry one lens to do the work of three fixed focal length lenses, a 24mm, 28mm and 35mm - with F2 brightness and top optical performance. At the 24mm and 35mm focal lengths, this lens offers the performance that is equivalent to that of two prime lenses in the Art line. Instead of changing one high-performance fixed focal length lens for another, simply zoom. 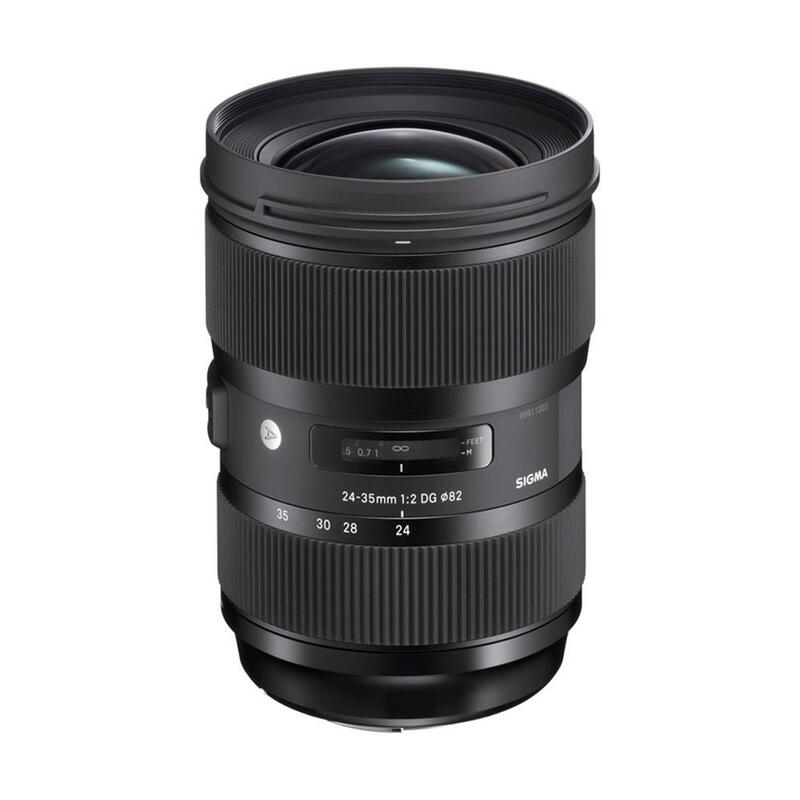 Delivering excellent functionality and convenience, one lens offers the equivalent quality of three high-performance fixed focal length lenses at f/2 brightness: 24mm, 28mm and 35mm. With a minimum focusing distance of 28cm and a maximum magnification ratio of 1:4.4, this lens is suitable for close-up shooting, portraits with an attractive bokeh and deep-focus landscape photography. Photographers have access to the angle of view equivalent to that of three wide-angle lenses without having to switch them. While achieving the desired background effect can be difficult with a conventional wide-angle lens, the large diameter of this lens allows photographers to open the aperture wide and use the shallow focus to achieve stunning results. 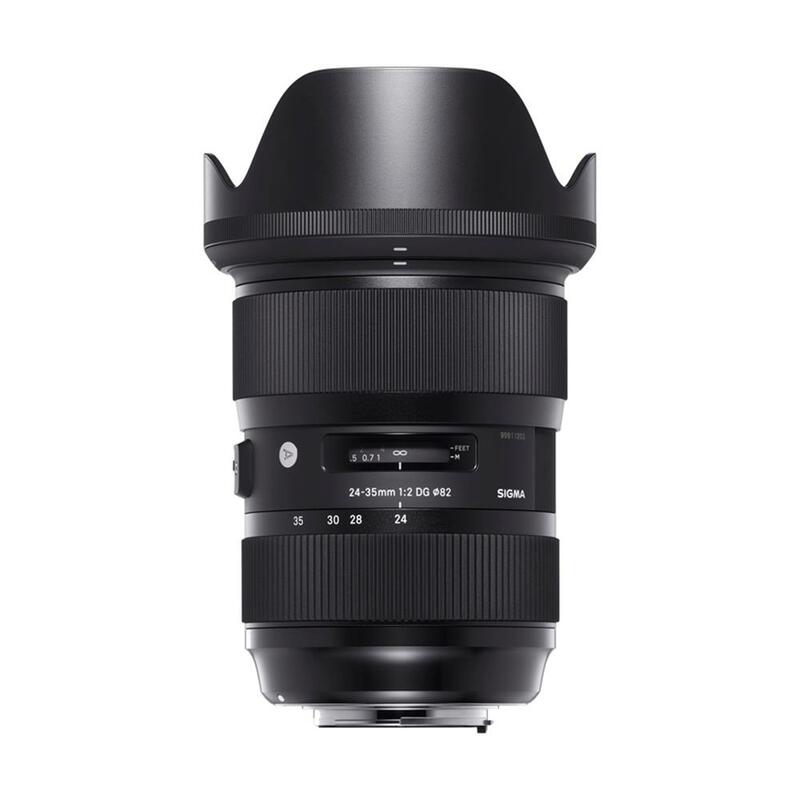 To realize a large-diameter zoom lens for full frame cameras with F2 brightness, SIGMA designed each and every part with uncompromising care and quality. The lens incorporates large-diameter aspherical lens elements, which require advanced technologies to manufacture, one FLD ("F" Low Dispersion)* glass and seven SLD (Special Low Dispersion) glass elements, of which two are aspherical lenses. The advanced optics and optimized lens power distribution minimize spherical aberration, axial chromatic aberration and field curvature, resulting in outstanding optical performance. Even at widest aperture, this lens delivers breathtaking image quality. * FLD glass is the highest level low dispersion glass available with extremely high light transmission. filters. This specification is particularly convenient for shooting video. mount of your choice. It gives new life to your favourite lenses when you wish to use them on a different camera body. We used to measure lens performance with an MTF measuring system using conventional sensors. However, we've now developed our own proprietary MTF (modulation transfer function) measuring system (A1) using 46-megapixel Foveon direct image sensors. Even previously undetectable high-frequency details are now within the scope of our quality control inspections. All SIGMA 24-35mm F2 DG HSM lenses are checked using "A1" before they are shipped.